In exchange for the M10 debacle Atlantic Firearms was cool enough to let me upgrade to an Arsenal SGL31. Like last time the order handling and shipping from Atlantic was ridiculously fast. I ordered the Arsenal Friday late afternoon, shipped Monday morning and was at my FFL Tuesday at 11am. Atlantic’s system is awesome, It sends you an email after every step, even upon delivery to your FFL. I was unable to swing by to pick it up until later that night. 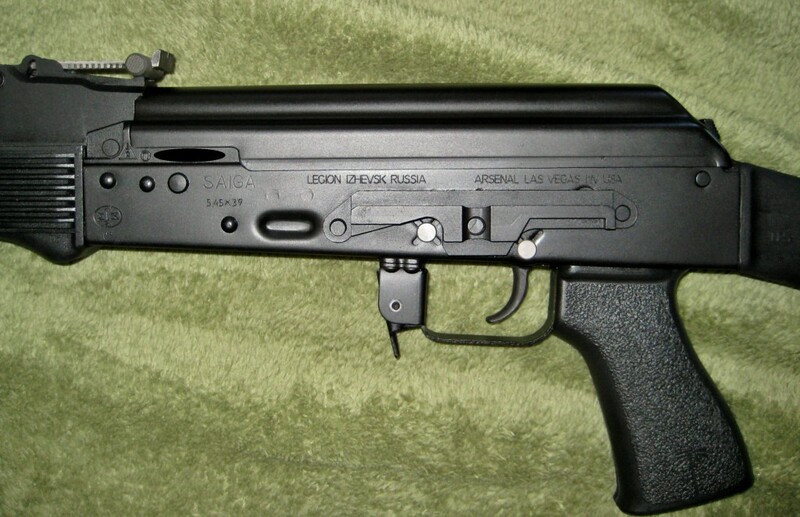 The Arsenal SGL-31 comes in a plain white box with only a plastic bag and an instruction manual. For $200 more than the M10 I think its a no-brainier. This looks like an actual new gun. There are no milling marks, the finish is smooth, and all the parts a brand new. The fit and finish is excellent. I know Arsenal gets a bad rap for the simple painted finish but it looks far better than the M10’s parkerized version. Sorry for not showing the original grip that came with the SGL, my mitts are just too big and it needed to be swapped immediately. 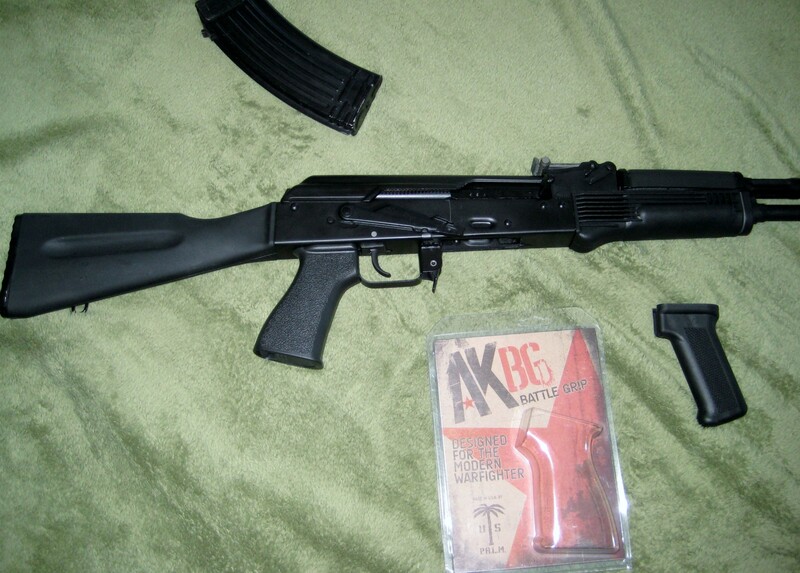 I decided to go with the US Palm AK Battle Grip and it makes a huge difference. I think I may like it more than the Hogue grip that came with the M10. It certainly looks more traditional in my opinion. The front sight block is strait and looking good. The safety was not brutal to move and fit nice under the cover. The standard SGL stock is far too short for my 6’1″ frame. Buts it’s replacement will happen soon enough. I have decide to go with the Bonesteel Ak/Saiga Folding stock with integral AR15 extension tube along with a Magpul CTR stock. They are not shipping yet but should be by the end of March. It looks to be one of the best folders on the market and there is no need to cut off your rear tang like the ACE folder. Next on the list will be a front rail system but I want to wait to see what the length of pull will be on the folding Magpul before I decide on which one to get. 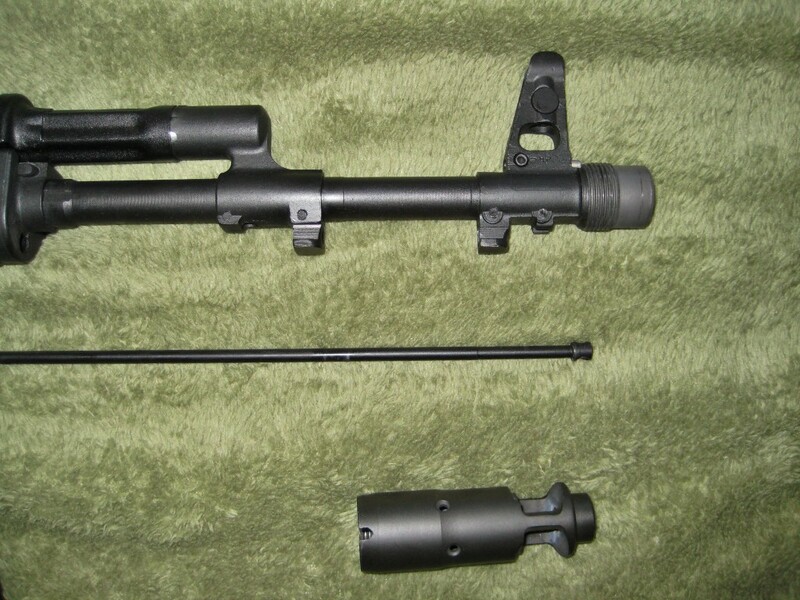 I really like the Midwest Industries rail, I just don’t know if I would prefer the full size rail or the half. The SGL comes with a 10 round mag and randomly is not considered an assault weapon unlike the M10. 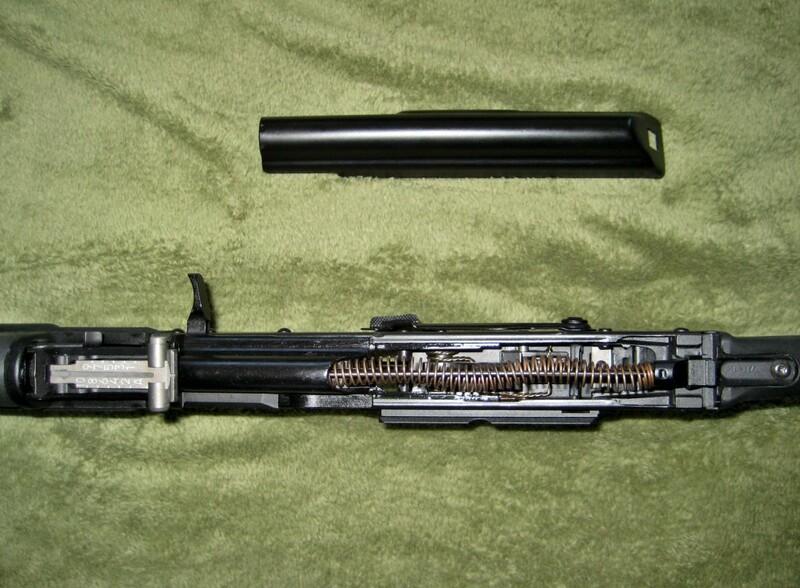 As explained to me by my FFL, this is due to the M10’s folding stock and 30 round mag. I would have much preferred a decent 30 round mag vs the 10 round but I think it will be helpful when sighting in the rifle, you will be able to get closer to the bench. The innards are brand new and clean as a whistle again unlike the M10. I came to the conclusion very early on shooting it tonight that the trigger is garbage. A Tapco G2 is on the way from Primary Arms who has some great deals on add-ons and most of the more expensive ones like the MI rail have free shipping. 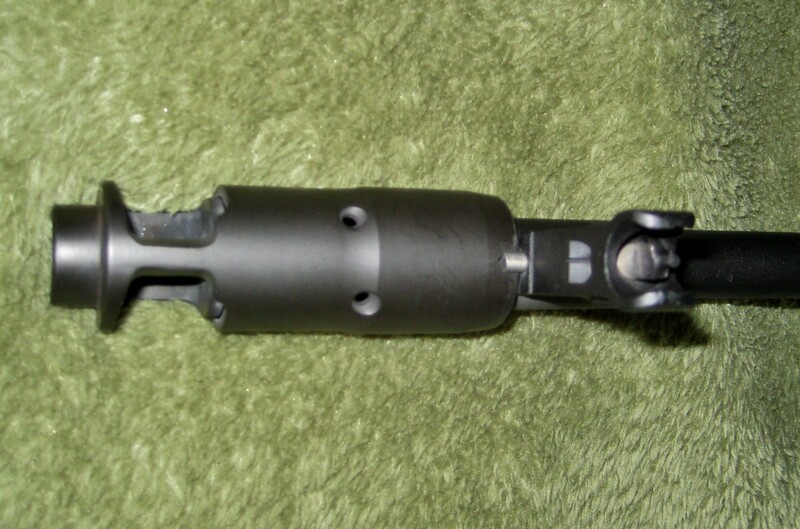 The muzzle break is removable just by pushing down a button and unscrewing, which is nice for cleaning. I just pulled the cleaning rod and stuffed it into my rifle bag to save weight which sounds stupid but it seems to make a difference. Everything fictions as intended and breakdown is super smooth. Taking off the gas tube is straightforward and does not require any tools. My 22LR bore snake works perfectly just like in an AR. 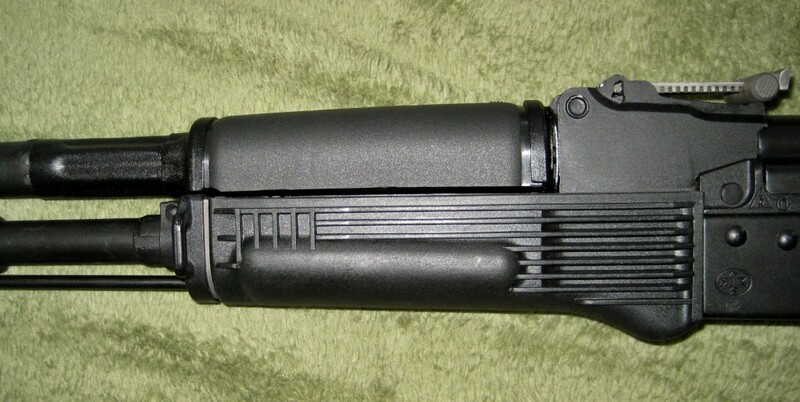 The magwell has limited mag wobble if any and all my mags fit perfectly snug. I always felt that if I kept the M10 I was going to have to spend an hour or two to get rid of all the crud and cosmoline that were in all the nooks and crannies. There is none of that with the SGL. Shooting the SGL today was a dream. For one it actually cycles and ejection paterns were spot on, and two the hand-guards are excellent. The internal heat shield does an excellent job of deflecting heat away from the operator. The SGL31 seemed very accurate although I like the sights on the M10 better. They seemed easier to acquire and hold. Today I was just shooting wolf ammo at my indoor range which is 25 yards. I’m hoping this weekend or the next to get the SGL out to my outdoor 100 yard range and open her up a little with a mix of Surplus and Hornady V MAX. Anyways, I’m in love. I can’t tell you how happy I am with this purchase. I think for $200 more than the M10 you are in a whole different league. I also think you can grow with the SGL. After you shoot the snot out of it and save up some cash, you can send it to Jim Fuller over at Rifle Dynamics and make it into a total custom rifle. I will update as the build goes along. Some things I’m after are back ordered or not even available yet. But I think when it all comes together, it will be what I wanted all along. An rifle with the ergonomics of an M4 but with the reliability of the AK. 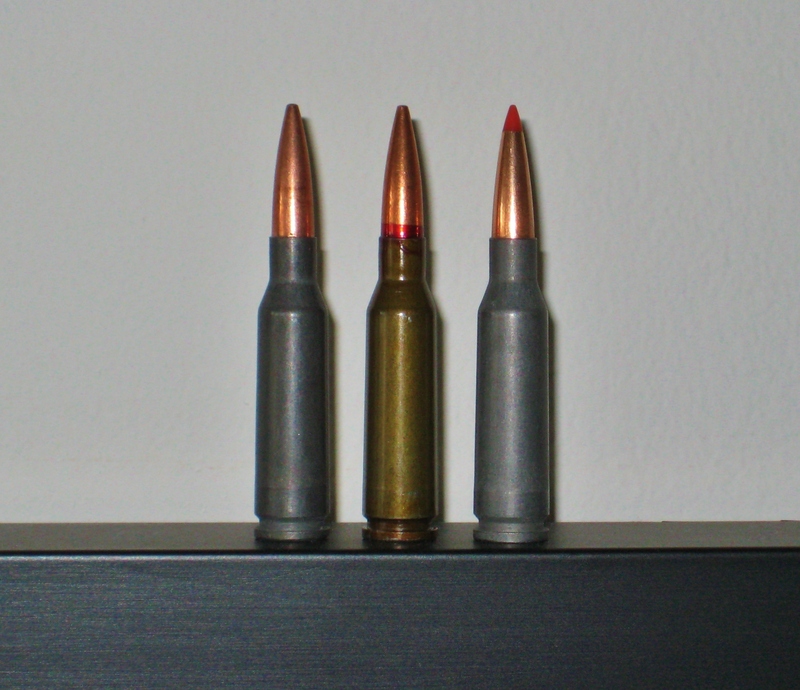 I am very happy with the 5.45 round and it helps that ammo is dirt cheep right now. I think with the M10 I was just settling because the price was right. But in the end I will have a rifle I can pass down to generations to come. Feel free to ask any questions in the comments or on Twitter @fleetingsurvive. Glad you like it. I too think you do get a much better quality rifle for the money with the Arsenal’s Saigas. They are solid, dependable rifles and getting a lemon is really rare. For the budget market an M10 is attractive since you have to spend the extra money for the Arsenal and then add in the upgrades that the M10 has, like the Hogue grip and the RPK rear. Lots of guys spend a lot of money with Rifle Dynamics to get the Bolton gas block mods similar to what the M10 has it out of the box. But both gas blocks have advantages and disadvantages too when compared to each other. I know what you mean about the Hogue vs. the US Palm grip. I like the US Palm because it get’s your hand up high and it seems like it would fit a wider variety of hands. It probably is the most effective for control of the firearm, but then the Hogue’s rubber coating and shape makes it more comfortable. I understand you hate the M10’s parkerizing’s look, but I can tell you from personal experience it will be more durable than the Saiga’s paint. Honestly, I also like the parkerizing as a better “tooth” for other tacticool finishes like Duracoat or Aluma-Hyde II. Note you don’t have to cut the tang off to do an ACE stock, they do make a mounting block that will work and if you want a longer LOP, it would help that as well. It just will increase the folded length slightly. Yea – I loved the idea of the M10 and wish it would have worked work. It will be far more of an expensive build this way, no doubt. I think in the end it will be more of a solid rifle and I don’t think that was due to Arsenal, I just think we would not have put as much work & time into the M10. We probably would have called it a day. I completely agree that the Hogue is a great grip. I felt like it was molded for my hand. I didn’t hate the M10’s parkerizing’s look, mine was just garbage. It had scratches all over the place that went to bare metal. I think I just got a bad gun. You are absolutely correct that it would grab a second finish like guncoat far better. I’m with you on the ACE, I just think that version where you don’t need to cut off the tang has far too big of a knuckle. We will see what TSD comes up with. 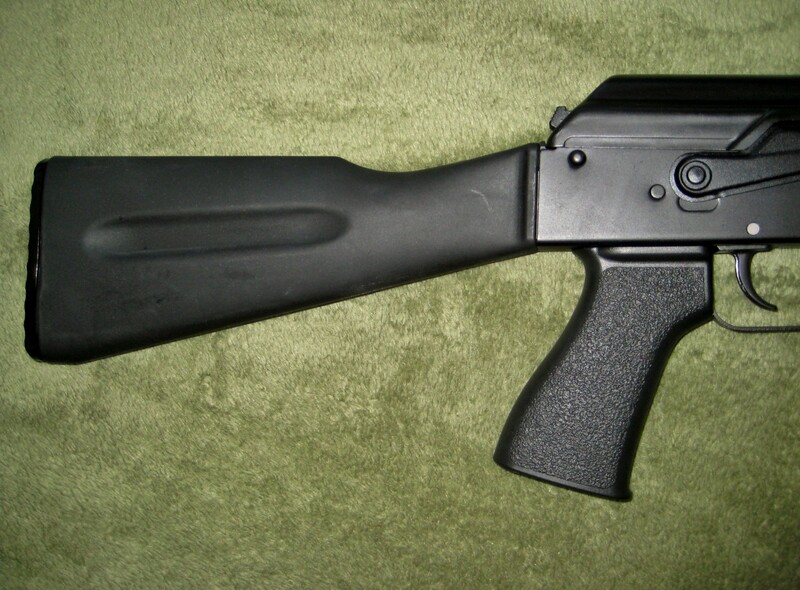 I want to get the LOP from the buffer tube and Magpul stock vs the folder. I too like not having to cut the tang off with the TSD folder (and one more reason why I’m glad I never went for an ACE when it was all the rage and stuck to the Romanian/Polish side folders). Just wanted you to know what was out there for your options. I do like my ACE on my tangless Draco Carbine conversion. While Jim has done some amazing WASR cleanups (and I’m eventually M10s), I definitely think Rifle Dynamics will be able to get more out of the Arsenal since it is a better base rifle. Thanks I saw AK Talk’s review of the Strike Industry’s rail and for me, it just sits a liltte too high for my tastes (aesthetically) I like the Midwest Industries mount over the SI one. The problem with MI’s rear sight mount is that it has a tendency to get flipped up and down. The first version of it was worse, the second version not as much but I have still heard a couple complaints. LaRue’s AK IronDot had the same issues. Even MI admits it isn’t a “hard use” mount. 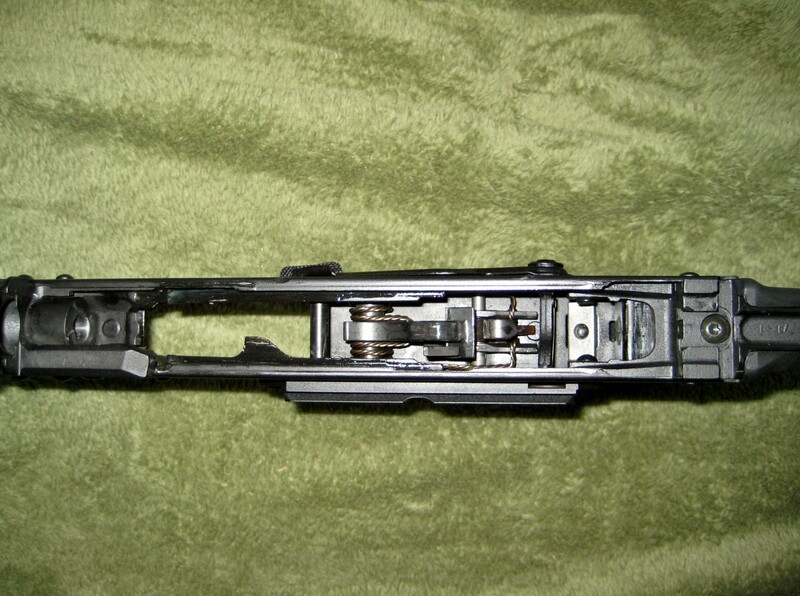 That is the advantage of the mount styles like the SI that put a point of third contact in front the rear sight ears. The other styles keep the rear sight ears more as a fulcrum point to pivot on during recoil so from the begin there mount has to fight a torque force. SI’s the ears are more a solid anchor point. There is another company out there that makes a similar mount right now but I don’t deal with them due issues in how they launched their product. But I totally I understand the aesthetics of the higher mount’s looks. It took awhile to grow on me as well. I have a MI mount sitting around waiting hopefully for the day Strike Industries makes an optic specific mount for an apples to apples comparison.